He is the coordinator of the 4TU Cyber Security Master Specialisation where he teaches a course Cyber crime science with Prof Marianne Junger from the University of Twente and the Capstone courses on Social, Business, and Entrepreneurial skills in cyber security with Dr Victor Scholten from TU Delft. 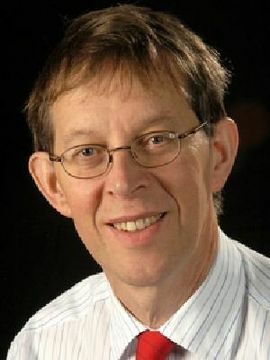 Prof Dr Pieter Hartel is head of the Cyber Security research group of the faculty of Electrical Engineering, Mathematics and Computer Science at Delft University of Technology. He also holds part time professorial positions at the University of Twente and at Singapore University of Technology and Design. He has 25 years of research and teaching experience in Cyber Security in the Netherlands, the UK, the US, Malaysia, and Singapore. He has been thesis advisor of 21 PhD students. His research interests include the human factor in cyber security, cyber crime, crypto markets, and block chain technology. He was the principal investigator of the recently completed 13.5M Euro EU TREsPASS project on socio technical cyber security risk management.